At A.V. 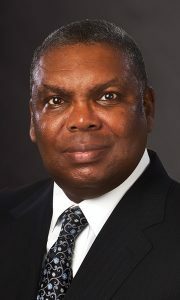 POWELL & ASSOCIATES, he is responsible for practice development and peer review of all consulting engagements. Supervised the development and implementation of the first actuarially based PC software to be used exclusively for the financial analysis and projection of CCRCs. Conducted more than 20 actuarial feasibility studies that have resulted in $1 billion in credit-enhanced bond financings for new starts and expansion projects for nonprofit CCRCs. Developed first set of actuarial tables for mortality, morbidity, and life expectancies based solely on the experience of the largest resident movement database in the CCRC industry. These industry-representative tables are used exclusively in the firm’s consulting projects.